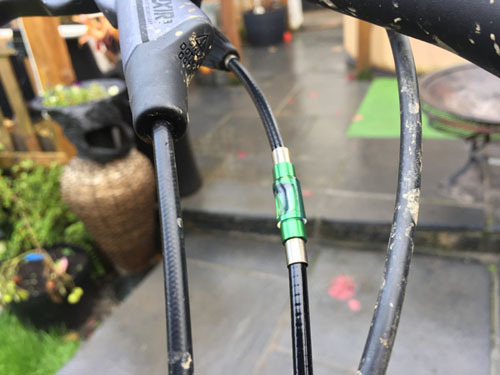 If you are an avid biker then you know the hassle of sticking gear cables and how they transform from a smooth gear change to the point you are fighting them to change gear. Even new cables over just a couple of months start to fail especially now the weather is creeping in. 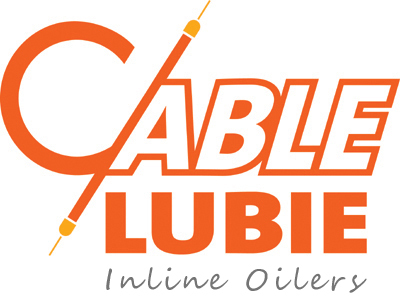 CableLubie is a simple but very effective product to allow easy visual access to the inner wire and allows an easy application of oil into a chamber covered by a clear rubber skin. 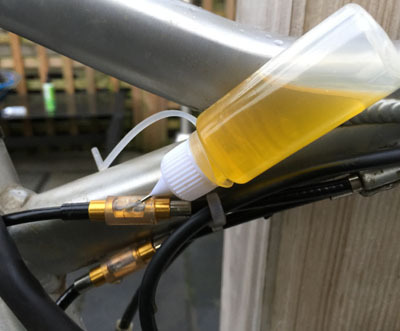 Oil is injected into the rubber jacket and an O ring seal helps flow the oil down the cable inner, oil is also kept in the chamber and you can easily add if required to keep those cable slick. The CableLubie is typically located just under the gear shifter cable and on most bikes with full length cable another is placed before the deraileur. Other bikes have open cables down the frame and up to 3 CableLubies may be required. 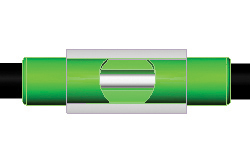 CableLubie fits 4mm and 5mm cable outers. Oil Application is via a blunt needle and syringe as used for ink and art. 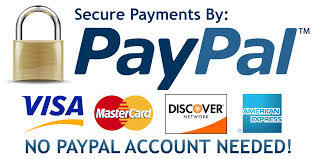 We recommend ProGold's product as it has a dispenser and excellent oil but you may prefer you own oil so we supply the delivery system seprately as the choice is yours.